Have you heard of a conference called BlogWorld? You should have because its primary topical focus is on the growing importance of social media. Now, unless you've been hiding under a rock or still believe the ad industry's product du jour in the :30 commercial, you know that social media is all the rage. Just like word of mouth was a few years ago. Just like buzz marketing some years before that and just like viral marketing did even earlier. Yes, social media encompasses many of the aforementioned trends/fads/whatever but much like mobile which has finally earned it's "year of" status, social media is going mainstream and that what this conference is all about. Taking place in Las Vegas October 14-16 and with panels on content creation and sharing, analytics for listening to customers, enterprise-level adoption of social media, the SEO of social media, crisis management in social media, social CRM, PR in social media, the conference will inform and educate those who need to know what's coming down the marketing freeway. - Bored in that dull meeting? Check out Adverbotz, a collection of your favorite phrases spoken in robot voice. - The Gerald R. Ford Airport in Grand Rapids has launched a new brand and advertising campaign. - Minneapolis-based Little & Company asked 30 creatives to record their thoughts on design. The results are collected on ThirtyConversationsOnDesign. - And the Cornelius Trunchpole idiocy continues. Now a person claiming to be Gerry Graf (who likely isn't since our reply email bounced) says Mr. Trunchpole is Trevor Bittinger, an art director who once told Graf he intended to create an agency based on a ficticious ad legend. Does anyone really care? - To promote Red Bull's Flutag event, Monkeyhead is out with another On the Wings of Glory video. - AdWeek's Social Media Strategies Conference will take place on Oct 13th & 14th at 10 On The Park in New York City. - Well here's a pretty cool iPhone iAd. A new series of social media conferences has launched entitled Monitoring Social Media. And as the title suggests, it's all about monitoring and measuring the success of social media campaigns. Covered topics in the series include, Social media tools and services, brand and reputation management, sentiment detection and management, data quality and filtering, identifying and connecting with influencers and case studies. To promote the Vancouver International Film Festival, TBWA\Vancouver created a film called The Warden that is divided into 16 scenes and will release one scene each day of the festival non-linearly. Viewers can then go online to thewardensixteen.com and rearrange the scenes together in an effort to piece the story together. Somehow, this will get people excited for the festival. Somehow. If you're going to BlogWorld at Mandalay Bay in Las Vegas October 14-16, in addition to all the keynote and panel goodness, you'll want to know about all the parties as well. Well, we're going to make it as easy as we can to find your way around and make sure you hit all the parties you want. Out of the goodness of our little Adrants hearts, we compile a Google calendar of all the parties so you don't have to. It's in a continuous stage of development so be sure to check it regularly (after the jump) as the conference dates approach. Times are shown in Pacific. Yahoo and the Ad Council today announced the launch of the 2010 Create for a Cause contest to recognize the best in digital advertising for public service campaigns. The winning campaign, selected by a panel of digital advertising leaders, will appear on Yahoo! 's sign-in page. 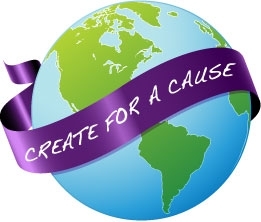 The second annual Create for a Cause contest will be open from October 11 to December 3, 2010, to advertising agencies looking to showcase their most creative digital campaigns for nonprofit and federal government agency clients. And for the first time, all agencies are invited to submit entries, including those not affiliated directly with the Ad Council. The winning campaign will be announced January 5, 2011. Get your creative on, people! Last night, the Interactive Advertising Bureau held its sixth annual MIXX Awards to "recognize the brand marketers and agencies responsible for the most innovative and effective interactive advertising of the year." This year, Best in Show went to HBO's True Blood and Digital Kitchen for their "Hacking Reality" campaign for the second season launch of the vampire series. The work integrated digital and traditional media, with online, outdoor, print, stunts and a series of brand partnerships. The second season of True Blood was teased through a mix of media tactics including vampires in faux blogs and online editorials as well as in traditional advertising and editorial takeovers. The strategy included co-branding with products like Geico, Harley-Davidson and Gillette, a host of classified ads, viral videos and a serialized weekly Inside Edition-type show covering all things vampire. The worked seemed to have paid off since it resulted in True Blood season 2, episode 1, being the most-watched show on HBO On Demand, with an average of 12.6 million gross viewers per episode for the season, up 62% over the previous year. It's Advertising Week! Can You Handle It? IAB MIXX, OMMA Global, Web 2.0, Fast Company Global CEO Summit, ARF, The Dirty Little Word, Night of the Ad Eaters, VideoEgg Battle of the Bands, AWNY, The Big Ad Gig, ANA, Facebook Party and 3 billion other entities and events. Yes, folks it's Advertising Week. The seventh annual adfest during which the ad industry heads to New York to learn, share and cavort. There is more to do than any single human can accomplish. But that's OK becasue we have Twitter and blogs and all manner of social media insanity to keep up with the week. Even if you live in Iceland. 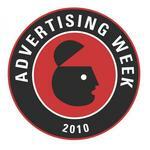 Be sure to follow @advertisingweek on Twitter. 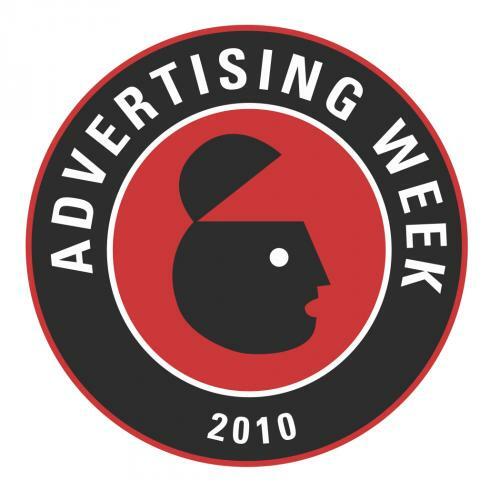 Check out Advertising Week's AW Voices Blog and their Let There Be Advertising Week Posterous blog. And, of course, the Advertising Week website. And if you need a constant steam of Advertising Week in addition to following the #adwk2010 tag on Twitter, check out WADV, Advertising Week's radio coverage of the event. You can also find it on iheartradio. - This Advertising Hottie is indeed a hottie. - Netflix planted actors in the audience of a press conference for the launch of its Canadian web video offering. It didn't go over very well. 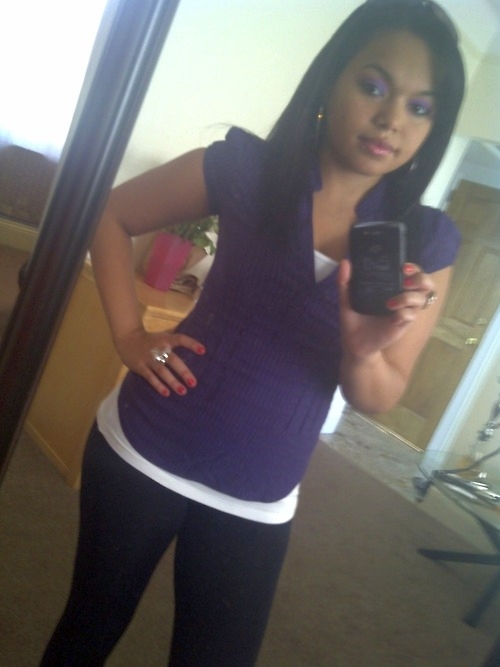 - The just can't be good. No. Not at all. An online cookie that just won't give up, respawning itself whenever a user deletes their cookies. No. Not good at all. Not one bit. - During Advertising Week, Sprout will introduce AdVine. AdVine publishes ads simultaneously in Flash and HTML5 which Sprout claims will help agencies save time and money building for desktop browsers, mobile browsers, and in-application all at the same time. - Naked bus wrap titillates to sell Casio Watches. - Disney is out with Let the Memories Begin, a user-generated campaign playing out on DisneyParks, Facebook, YouTube and MySpace. There seems to be a revolt among local chapters of the American Advertising Federation over the national board's recent decision to increase the price of ADDY entries. A letter to the members of the Kansas City AAF reads, in part, "The new fee will increase the national portion of each ADDY entry fee from $2 to $15. A 750% increase that they refer to as 'modest.' Currently, the ADDY entry fee for members is $38 per entry. With the increase from nationals, the entry fee will be raised to $51 per entry. While the Kansas City AAF supports the AAF and isn't defecting, it's putting it's foot down calling the increase "potentially devastating." In the letter, the KC AAF claims the increase "will cause us to experience a $15,000 to $25,000 loss for our fiscal year - instead of making the small profit we had budgeted for. It is too large a loss for us to absorb and would force us to raise fees on other things - an option we find absolutely unacceptable." All the drama is on the KC AAF blog if you want to dig deeper.